This solitary wasp isn't as aggressive as the communal yellowjackets or bees, but you probably don't want it inside. 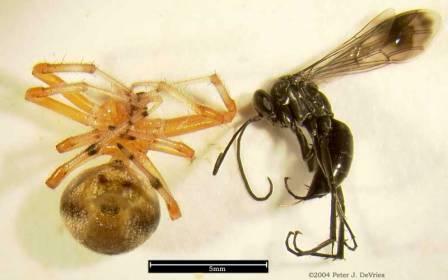 As the name implies, it parasitizes spiders. Use a rag or jar and toss it outside. If more come inside your home, find the source of entry and seal that area.